Ponds and streams overflow with natural learning opportunities! Most young children seem naturally drawn to water. 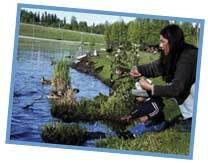 Puddles, ponds, creeks, and streams offer a natural watery world of learning opportunities that capture young imaginations. Enjoy wading right in and stirring things up to get a feel for the water. 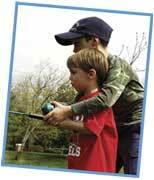 Fishing with a friend or sibling is part of the fun of ponds and streams. Move in close and watch a school of fish. 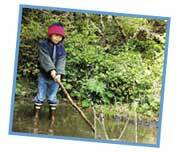 Discover how to cross a pond or stream on stepping-stones. 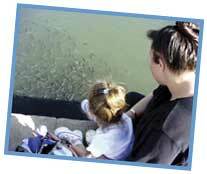 Feeding ducks is fun for all ages.